A temporary plant in Silverton has been operational since October to treat discharges from the Gold King Mine, which averages 500 gallons per minute of acid mine wastewater. 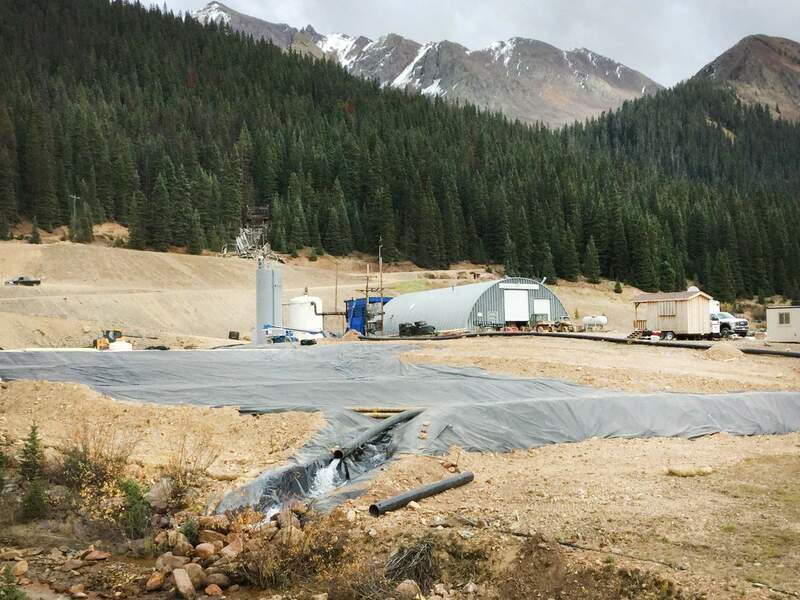 Environmental Protection Agency crews have installed a 4,800-foot pipe that travels from the entrance of the Gold King Mine, down a steep slope and into the water treatment plant north of Silverton. 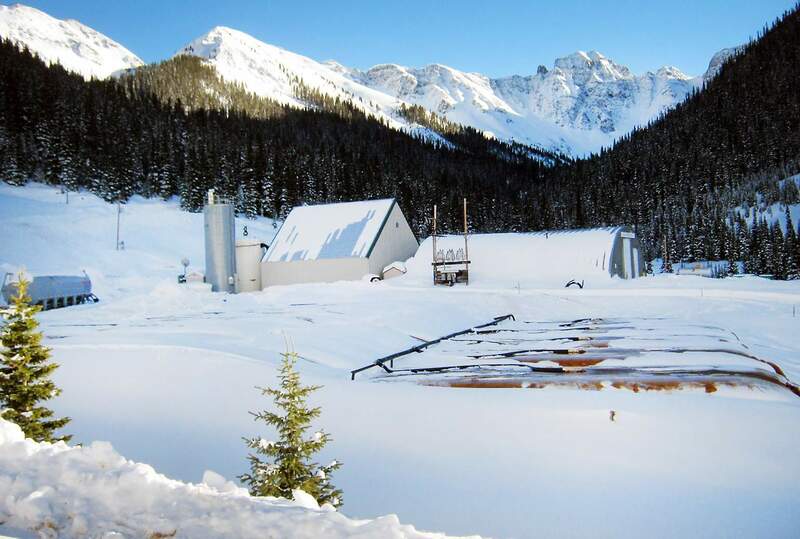 The temporary water treatment plant in November, before heavy snowfall in Silverton. The plant is treating water from the Gold King Mine. Ten miles north of Silverton, in a remote area known as Gladstone, more than 36 inches of snow covers the ground where the Environmental Protection Agency’s new water treatment plant operates even in below-zero temperatures and seemingly endless snowfall. Freddie Canfield, Silverton’s weather guru, said temperatures dropped to 22.8 degrees below zero on New Year’s Day, and it’s likely that in Gladstone, which is higher in elevation, it was even colder. “When you go outside and your beard and your mustache are flash frozen, you know it’s 20 below,” Canfield said. Which begs the question: How does the new water treatment plant hold up in such an extreme and isolated environment? On Sept. 23, the EPA announced it would build a temporary water treatment system. That came seven weeks after an agency-contracted company triggered the Gold King Mine blowout, releasing 3 million gallons of heavy-metal laden sludge into the Animas and San Juan rivers, affecting three southwestern states. The $1.5 million plant was finished less than a month later with a system designed to handle up to 1,200 gallons of acid mine drainage per minute. The latest report shows the Gold King Mine is discharging 480 to 510 gallons a minute of wastewater that contains arsenic, lead and cadmium. As the San Juan Mountains entered the harsh winter months, The Durango Herald looked at how the treatment plant operates during this El Niño winter. Before the spill, the portal to the Gold King Mine was a flimsy pile of loose dirt and rock that had collapsed on the inactive mine entrance over time. It was that makeshift dam that held back water, and which EPA-contracted crews dug too far into, triggering the blowout. 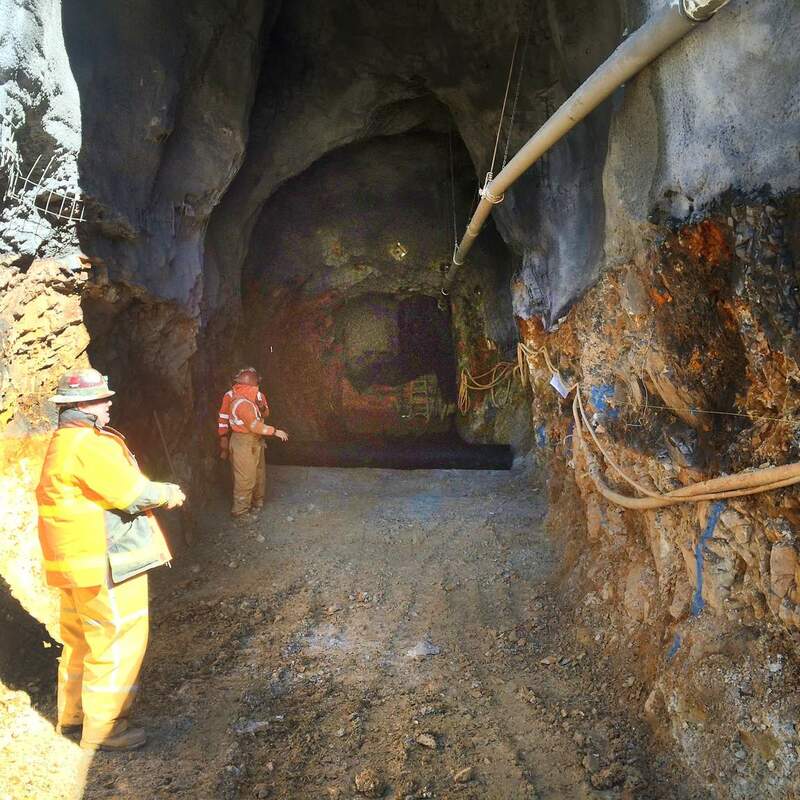 Workers have stabilized the mine’s entrance and installed a 4,800-foot pipe that runs from the portal of the Gold King Mine down a steep slope into the treatment system at Gladstone. There, the water laced with heavy metals enters settling ponds. Just before the water reaches a reactor, lime is injected, effectively raising the pH level from around 3 and 4 – that of black coffee – to about 7, considered neutral. The water is then mixed with chemicals that cause clean water to rise and the metal-laden sludge to settle at the bottom of a tank. The clarified water enters a pipe that releases into Cement Creek, a tributary of the Animas River, at a rate of about 450 gallons per minute. The metal sludge is directed into filter bags adjacent to the treatment plant. A percolated mesh allows clean water to escape while trapping the solid waste. The filter bags last 18 months before they need to be replaced. Jenkins said temperatures dipped as low as 18 below zero in Gladstone, and the federal agency was prepared to fill the settling ponds to capacity to let water flow underneath the ice cap and into the treatment facility. But that wasn’t necessary, she said, because water discharges out of the mine at a temperature of about 50 degrees. By the time it hits the settling ponds, the water is still above freezing. Butler said winter is usually the most important time to treat mine wastewater because that is when metal concentrations in the river are the highest. There’s more snowpack, which means less running water, and less dilution in the waterway. Gladstone is accessed by an unpaved county road, now regularly covered with snow. But EPA spokesman Json Marruffo said that hasn’t been a problem since the federal agency hired local plowing crews. Avalanches could be an issue as winter presses on, Marruffo added. The settling ponds constructed in the immediate aftermath of the Gold King spill were in an avalanche zone, which is why the EPA moved the facility to Gladstone. Still, the new treatment plant is 600 to 700 feet away from potentially hazardous sloped areas. Two local contractors are at the facility on a daily basis, Marruffo said. Should anything go wrong, the EPA has a 24-hour time frame where operators can respond. The EPA also installed monitoring systems and collects water quality samples that will be compiled, with results expected to be posted in the coming weeks, Jenkins said.